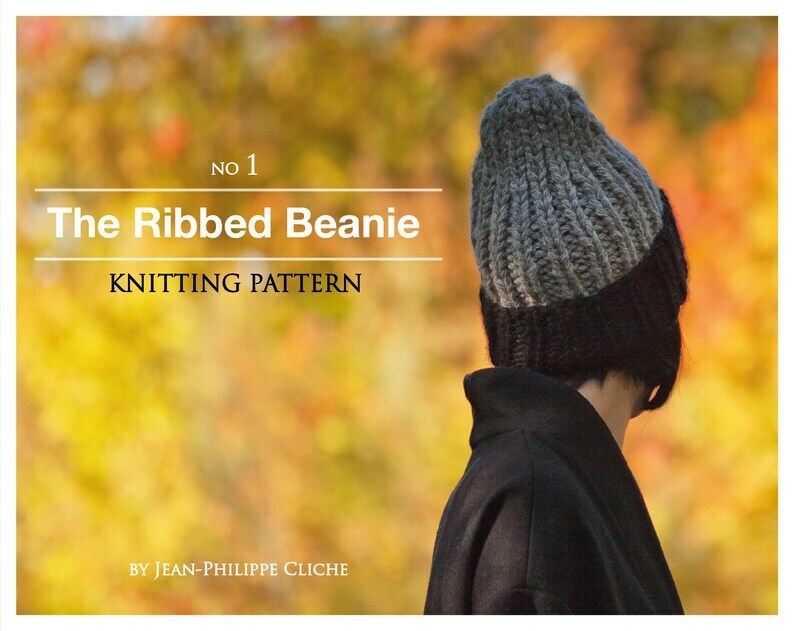 The ribbed beanie is the first in a series of knit and crochet patterns from the "Take a Break!" Collection. The concept is simple, I propose several short projects that will be realized very quickly. All you have to do is take a break, relax and enjoy yourself. With its classic look, this hat will quickly become your favorite piece of the season. The 1x1 rib is a stitch that all knitters have already experienced. It is very beautiful, soft, stretchy and very easy to achieve. On the other hand, when the time comes to decreases, it can be a mess. With those instructions, you will have the most beautiful decreases that can be. By creating this design, I had a very clear idea of the final result. I wanted the finish of the machine-made beanies that are been so popular these days, but it had to look handmade. Why? Because there is nothing better than wearing or to offering a hat made with love by yourself. Provided in English and in french. • Two sets of circular needle - 12 mm one of them need to be 16po/60cm long. • One set ot 5 double pointed knitting needles - 12mm.